Water filter cartridges are made of or contain various components that absorb or trap water born contaminants that flow through them. The substance is referred to as a media or medium. 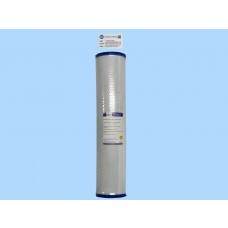 There are different types of 20” jumbo water filter cartridge media; some trap water pollutants using an ultrafine paper that acts like a tea strainer to trapparticles as the water flows through the cartridge. Others utilize an absorption process where contaminants are retained within microscopic pores of the medium.Particles are attracted like magnets to media molecules. The micron rating of the filter indicates its density. So a 1 Micron filter(a micron is one millionth of a metre) will generally remove particles that are of 1 Micron or larger but not smaller. The lower the Micron rating the smaller the particle’s that will be captured or filtered out.As a guide a Giardia cyst is 8-12 microns, a cryptosporidium is 4-6 microns and a human hair is about 70 microns in diameter. Remember however the denser the filter media the slower the flow of water. More less dense filters working together are better than one very dense filter. They will remove more contaminants without unduly slowing flow. There are two main filter rating types; absolute and nominal. A nominal rating defines the smallest estimated particle size that the filter can eliminate as per its design criteria. For instance, a 5 Micron nominal filter traps 95 percent of 5 micron or larger particles. An absolute rating refers to the certified reduction rate of about 99.9 percent. Meaning that a 5 Micron absolute filter will eliminate 99.9 percent particles of 5 microns or larger in diameter. Paper filters are used to eliminate sediments especially where water is sourced from a spring, river or lak. 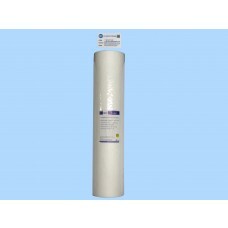 Sediment 20” jumbo water filter cartridges are used to reduce water dirt and eliminate particles. 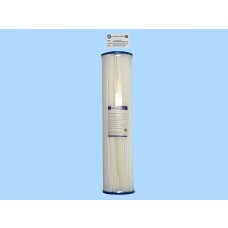 These filter cartridges are generally made from pleated paper films or rigid foams made of polypropylene that are resistant to bacteria growth. 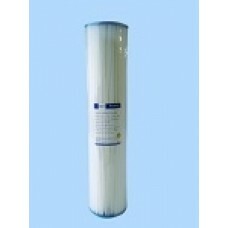 The filter cartridges are either 2.5” or 4.5” in radius and 20 inches high and referred to as 20 Inch Jumbo Filters.